As we approach the end of October with the most anticipated day of the month, Halloween, lets spice up the creepiest time of the year with some spooky travel destination ideas. 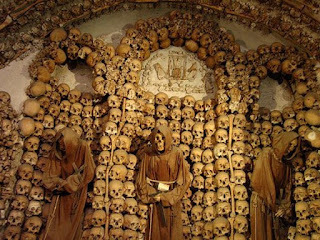 From the strange, to the creepy, to the gross, places around the world have some bizarre tourist attractions. 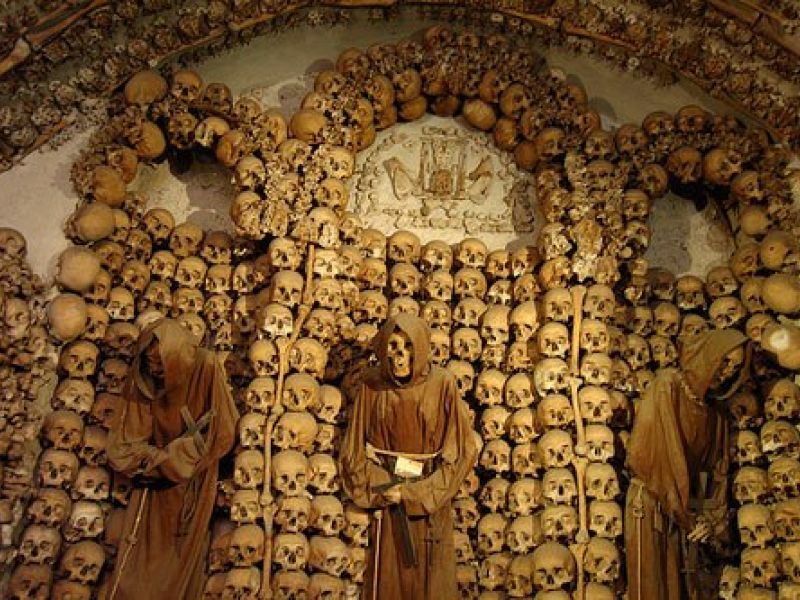 Whether you have a love of all things odd or are looking for a break from everyday tourist attractions, these spooky destinations are well worth a visit. In the entrance area right underneath the beautiful organ you will see a footprint with a spore in one of the tiles on the floor. 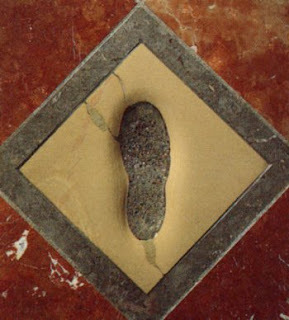 When stepping with your foot right in there and looking at the altar none of the cathedral's picturesque side windows can be seen. According to the legend, in 1468, the cathedral's architect, Joerg von Halspach, went looking for contributions to rebuild Munich's cathedral and ended up making a deal with the Devil: the Devil would provide the funds for the huge building on the condition that it would be a celebration of darkness, with no windows to let in light. Next stop: the catacombs: The entrance already sends a warm welcome with the French verse: "Arrete, c'est ici l'empire de la mort", "Stop! This is the realm of Death"! Situated 60 feet below ground, the catacombs remain of approximately six million Parisians, transferred gradually 300 years ago as graveyards were being closed due to the pros they posed to public health. The catacombs wind like a maze of dark galleries and narrow passages. You will see an arrangement of bones in a macabre display of Romantic taste. Goosebumps included! Is "The Ring" your favorite movie? Well, than head to Lake Xochimilco near Mexico City - a real live Mexican version of this story. 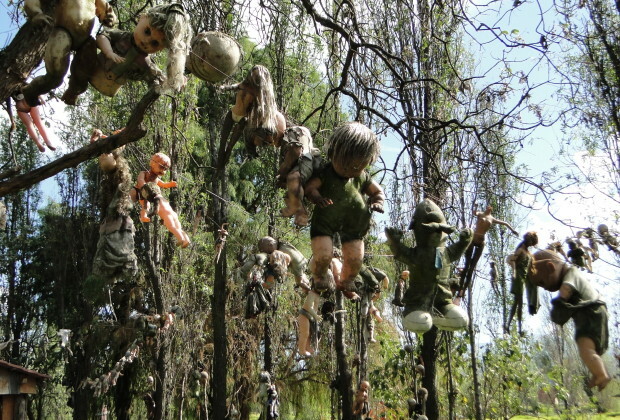 Visit the eerie "Island of Dolls" created by a farmer haunted by the memories of a young girl whose dead body washed ashore on his island. The farmer collected hundreds of strange dolls, some missing eyes, limbs, even heads. They dangle form trees and wires all around the forbidding island. Yet another inspiration for a movie. After spending a weekend in the Stanley in 1973, Stephen King got so creeped out wandering the almost empty hotel that it inspired him to write the horror cult - classic " The Shining". The hotel has been spooking guests like King for more than a century. Among its permanent paranormal residents are a phantom playing the piano in the ballroom and ghostly kids who play pranks on the fourth floor. Sweet dreams! 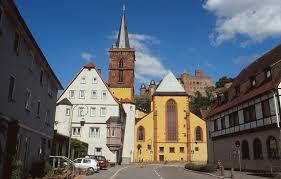 If you ever get to visit the author's hometown, Wertheim, make sure to stop by the Stifts Cathedral. Walk all the way back to the altar area and you will find a black door on the left side. Open the keyhole plate and peak through it. Not only will you feel the cold, smelly air creeping out, but you will also see the coffins of Wertheim's royals resting there for many centuries. It is being told that one of them " Dutchess Kaethe" can be seen wandering around on the cathedral's vestibule. Make sure not to meet her, sighting her means harm will find your family! Established in 1733, Savannah has a long, vibrant history. And with this history comes years of hauntings. Lots of historic buildings or cemeteries in Savannah may let you catch sight of ghostly presences surrounding you. One is "17Hundred90", a historic inn and restaurant. Join a guided tour of the Inn which hosts at least three ghosts. The most famous entity, Anna, of room 204 was the bride of an arranged marriage who fell in love with a sailor in the early 1800s. She is said to have thrown herself to her death from a third floor window onto the brick courtyard as the sails of her love's ship disappeared from sight down the Savannah River to the sea. Patrons report strange cool breezes on the back of the neck, sensations of being physically nudged, and personal items mysteriously disappearing and reappearing elsewhere. Only the bravest of tourists opt to share a few nights in room 204 - with Anna!